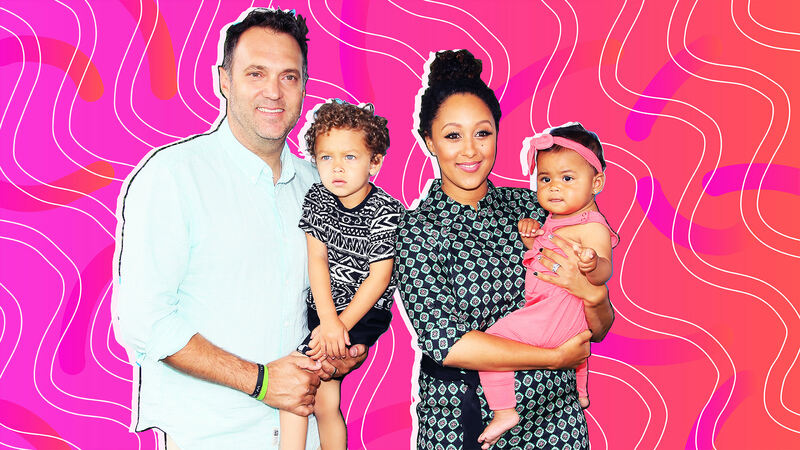 Actor and entrepreneur Tamera Mowry-Housley currently cohosts The Real, where she comments on real issues parents face every day. She is also a brand ambassador for GoodNites. You may know that I’m one of the hosts of The Real, and one of the things I love about doing the show is that I get to do just that: get real. So I want to get real with you about some of the very real challenges of parenthood — because all parents experience challenges, and we all experience them differently. Don’t get me wrong: There’s nothing I love more than being a mom to my two kids. But any parent will tell you this is not a job for the faint of heart, especially when it comes time for potty training. My son Aden is turning 5 this November, and my little girl Ariah is 2. They’re both at such fun ages and are really starting to show their little personalities. Aden loves playing outside and is completely obsessed with games and sports. Ariah has this amazing and completely contagious spirit that puts me in a good mood no matter what. I also love seeing her relationship with my husband, Adam — she is such a daddy’s girl! 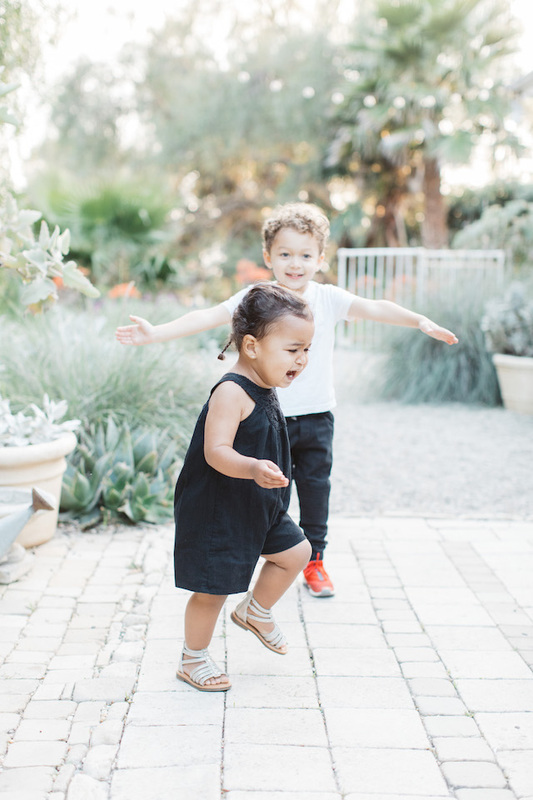 My kids are definitely a handful sometimes, but we are just so excited to watch them grow and achieve each milestone — even if we’re a little sleep-deprived in the meantime. I won’t lie. Aden’s nighttime wetting completely caught me off guard, so much so that I began questioning myself as a parent. No one really talks about this stuff, so Adam and I wondered if Aden was the only kid his age experiencing this. I’m so glad I found out just how wrong we were. It turns out that 1 in 6 kids experience nighttime wetting, and some kids just take a little longer to be dry at night, even after they’re potty-trained and are dry during the day. I learned this the hard way. In most cases, this is something that evolves naturally as children grow, and I’m relieved to say Aden has been waking up dry lately. Before that, he was wearing nighttime underwear to stay comfortable and protected without feeling like he was wearing a diaper. He still felt like a “big kid” who had conquered the potty during the day. The whole potty-training and nighttime-wetting experience really made me realize that every child has such a different developmental timeline — and that’s perfectly OK. It may not seem like a big deal, but now that we’ve been through it, I feel much more relaxed about parenting (and life in general). All these unexpected blips on the child-raising road remind me of what’s most important: to love my children and do what works best for my family. One of my favorite sayings is, “Comparison is the thief of joy,” and it really couldn’t be more spot-on. 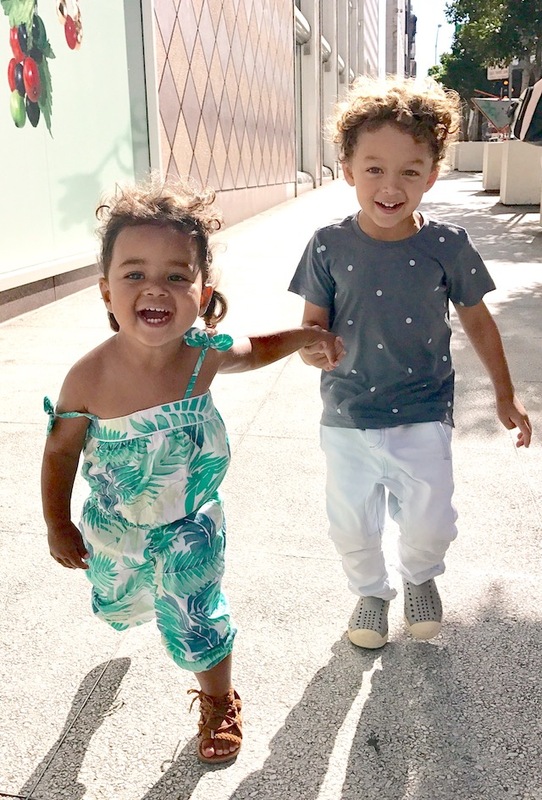 So I stopped comparing Aden and Ariah to other kids, and that changed everything. I’ll also say that after talking about these potty-training pitfalls, tons of parents have come up to me or messaged me to tell me about how their child is experiencing the same thing and how relieved they felt to watch me speak openly about it. It just goes to show: No matter what you’re going through, someone else is going through it too. I used to fear vulnerability so much, but now I embrace it. Before, I felt like admitting that things were different with my family meant I was doing something wrong. I feared people would judge me and think I was a “bad mom.” But now, I remind myself that my kids are so loved — and that’s all that ever matters. I wish more parents knew that you aren’t ever alone, and when you speak up about a challenge, in fact, you’re probably saying exactly what someone else needed to hear in that moment. When we open up and support each other, whether that’s on social media or IRL, we’re always better for it. So no matter what your child is experiencing, I always encourage people to speak up and get real — because chances are, you’ll find people with just the information, resources and inspiration you and your family need.